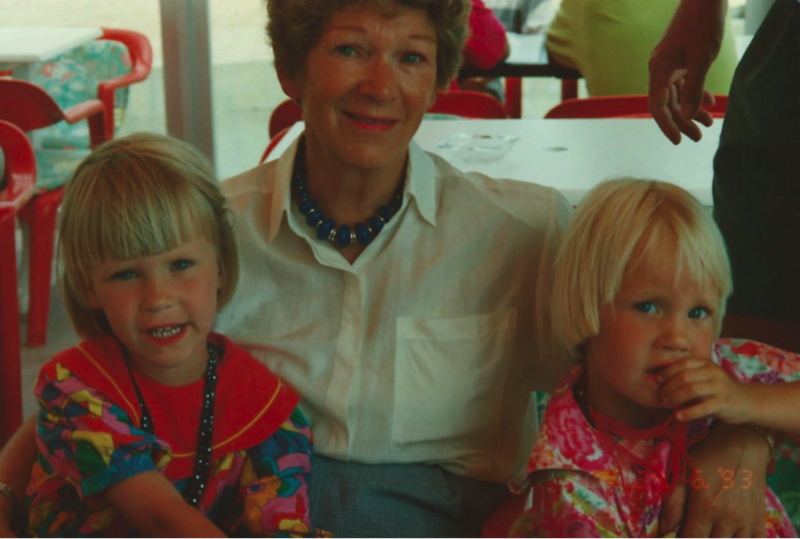 Today we discover a little about the childhood of Fay Hendriksen, based in Amsterdam, whose energy and belief in the potential of children to transform our world, when given the opportunity to do so, drives her to oversee a worldwide educational initiative. Where in the world did you grow up, Fay? My own childhood was spent in a little town called Pijnacker in the Netherlands, in an idyllic setting. With plenty of open fields nearby, and typical Dutch waterways decorating the landscape, my short walk to primary school was rather perfect in that it was filled with opportunities to admire nature. When the school day was over, there was always ample time to play outdoors and those memories have lasted with me over the years. My grandparents owned some property next to a lake, where they kept a small boat. When the weather cooperated we would spend extended time on the water. If we were not boating, we spent hours tending the family vegetable patch, playing among the trees and relaxing over an outdoor barbecue. I am happy to say that I still frequent this beautiful place and can relive these treasured memories from time to time. The scenes I just described to you were filled with a tremendous sense of freedom in a nature-filled, wide-open space. Even though I now live in Amsterdam, a rather highly populated urban area, I have been able to find living accommodation right on the outskirts of the city, close to a bridge that can take me back into the countryside rather easily. I travel by bicycle, which is common in Amsterdam and, indeed, throughout the Netherlands, and so whenever I crave that same freedom I felt so deeply in my childhood, I can be back to nature within a considerably short time. Fay, can you recommend a book from your childhood? I am a big fan of the Dutch author Thea Beckman and love, in particular, Hasse Simonsdochter. These stories are adventure-based. The concept of adventure has permeated my life, at a physical level during my outdoor childhood and at an intellectual level in my choice of reading material. These days, Fay brings her adventurous spirit to a worldwide Montessori-inspired movement connecting families, educators and partners while cultivating positive social change. Educateurs Sans Frontieres seeks to identify innovative educational initiatives and support them with resources and much-appreciated mentorship. This organization is currently supporting projects on six continents and has recently facilitated a summer Assembly in South Africa, focusing on themes such as sustainability and literacy, as they relate to diverse communities. Fay mentions the impressive location as a meaningful backdrop for the event, noting the proximity of mountains and local vineyards around the Sustainability Institute in Stellenbosch as a dramatic choice of location. You can find out more information about this dynamic organization at www.montessori-esf.org. Our thanks to Fay for taking time out of a very busy schedule to chat with us. Her commitment to childhood shines through her conversation! A healthy balance of outdoor playtime and intellectual pursuit is, regrettably, not yet every child’s experience. However, we can support agencies who work to serve the needs of children in many ways; let’s channel our energies collaboratively in working to make the world a more fulfilling place for each and every boy and girl.